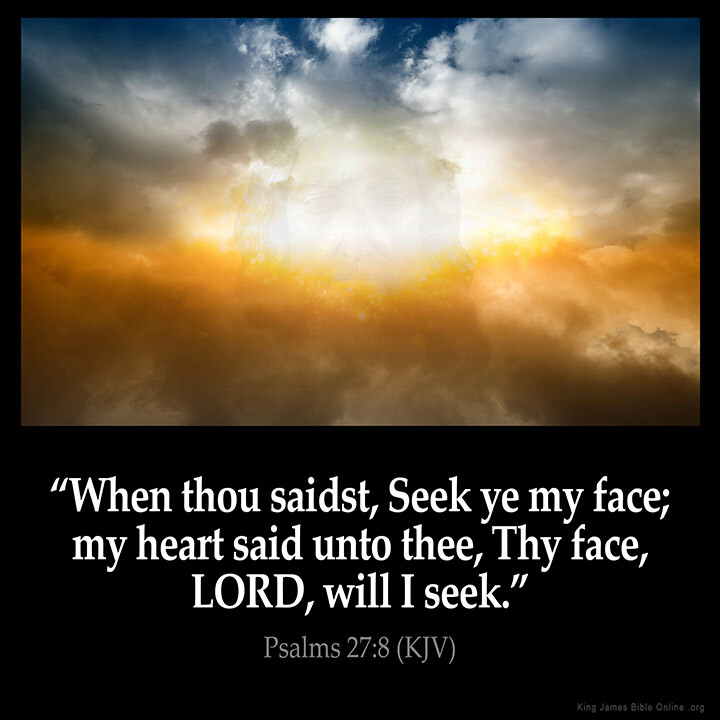 Seek my face beloved . . .
“When you search diligently for ME, you will find Me,” says the LORD. “For I WILL BE FOUND of you. Seek Me totally and completely with your whole heart. As you do, you will not only find Me, but you will find the hidden treasures that I have reserved for all who love ME,” says the LORD. “You cannot find Me without finding all that I have for you,” says the LORD. “DO not assume, but seek! No one is disappointed in Me. For this is not a game of hide and seek! I will NOT be hidden! COME into MY PRESENCE where you will find fullness of joy, satisfaction and enjoy the table that I have set for you. You will be fat and full of My blessings, and you will become a blessing to others,” says the LORD.